A reported 7-year, $153 million contract would make him the third highest paid outfielder in Major League history. Homegrown Red Sox star Jacoby Ellsbury is leaving Boston to sign with the New York Yankees, according to multiple reports. CBSSports.com and ESPN are reporting the deal is worth about 7-year, $153 million contract, which would make him the third highest paid outfielder in Major League history. An option for an eighth year could increase the value of the contract to $169 million. Ellsbury, 30, Boston’s leadoff hitter, led the American League in steals this season with 52 and was a vital part of Boston’s World Series run. His electric speed on the bases and in the outfield made him a crowd favorite. He also helped Boston win a World Series in 2007. Ellsbury’s decision is reminiscent of another beloved Boston center fielder, Johnny Damon, who also left the Red Sox to take more money with the Yankees. But Ellsbury’s departure is particularly painful for Red Sox fans because he grew up in the Boston organization. He was drafted by the Red Sox in 2005, and played for the Portland Sea Dogs and Pawtucket Red Sox before being promoted to the Major League squad. In seven years with Boston, he had a .297 batting average, 241 stolen bases, and won a Gold Glove and finished second in MVP voting in 2011. That year, he also became the only Red Sox player to ever record 30 home runs and 30 stolen bases in the same season. The Red Sox will get a first-round compensatory draft pick because of Ellsbury’s departure. They could replace him with highly touted outfield prospect Jackie Bradley Jr., or move Shave Victorino to center field and look for a right fielder via trade or on the free-agent market. 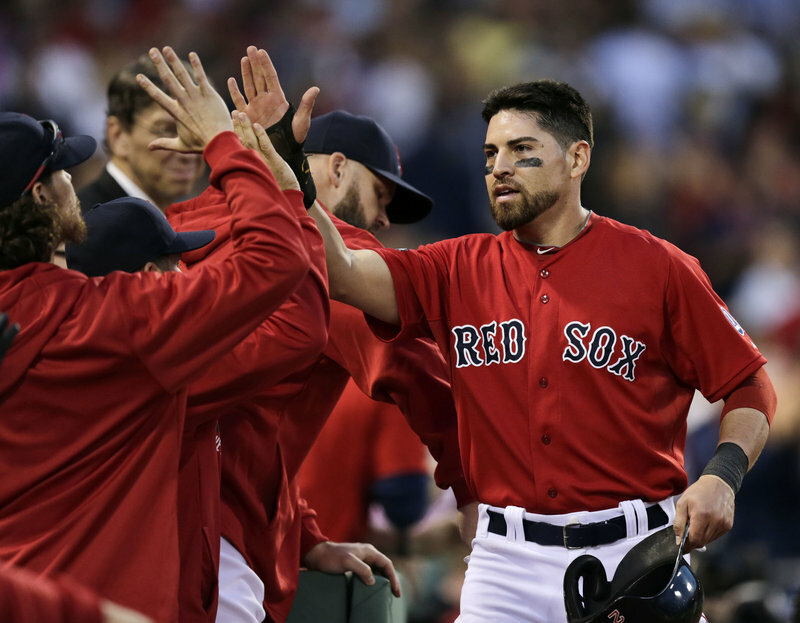 Although Boston wanted to keep Ellsbury, his decision to leave was not a major surprise. His agent is Scott Boras, whose clients frequently take the largest contract available regardless of the team making the offer.